Questions about ONWARD? We’ve got you covered. Need help persuading your boss that you absolutely, positively need to attend ONWARD? We’ve prepared a letter template, in Word doc format, for you to fill out and submit to your manager. Download here.  This October 29–30, Yext will host ONWARD19 at the New York Marriott Marquis. More than 1,600 attendees will continue to explore the cutting edge of AI-powered digital discovery and the future of search. Attendees from a broad range of industries — including healthcare, insurance, and other financial services, retail, automotive, food services, and more — will take away a greater understanding of how to answer the questions that begin the customer journey, and actionable strategies for meeting consumers where they search. Tuesday, October 29, 2019, through Wednesday, October 30, 2019. ONWARD19 will take place in the heart of Manhattan at the New York Marriott Marquis, at 1535 Broadway between 44th and 45th Streets in New York, New York. The hotel is accessible from both 44th and 45th Streets. How much does ONWARD19 cost? ONWARD19 tickets are currently the Early Bird Rate of $1,095 — a savings of $200 from the full conference pass. Early Bird pricing expires on June 30, 2019. What does an ONWARD19 ticket include? The ONWARD19 Main Conference pass includes access to all sessions, meals, and evening events on October 29-30, 2019. The ONWARD19 Day 1 Pass includes access to all sessions and evening events on Tuesday, October 29, 2019. ONWARD19 Client Training is $350 and is open to current Yext clients. Registration is required. The ONWARD19 Partner Summit is complimentary and is open to our wholesale and agency partners. The Partner Summit is open to ONWARD19 registrants only. Conference registration is now open on the ONWARD19 website. ONWARD19 is exclusive to Yext’s customers, business partners, and invited guests. You may pay for ONWARD19 by credit card. All major credit cards are accepted – American Express, Visa, MasterCard, and Discover. For more information regarding payment terms, please see the official ONWARD19 Terms and Conditions. ONWARD19 registration fees are non-transferable. If circumstances change and you can no longer attend the Event, you can cancel your registration by emailing ONWARD@yext.com. Cancellations received prior to September 23, 2019 will be refunded at 50% of the total fees paid. No refunds will be given for cancellations received on or after September 23, 2019. No. ONWARD is open to registered Yext customers, partners, and invited guests only. Yes. When registering, please enter the information for the person who will be attending ONWARD19. Will meals be provided at ONWARD19? Yes, meals will be provided and we will do our best to accommodate dietary restrictions based on the information provided when you register. What are the scheduled events for ONWARD19? We recommend smart casual attire. If you require special assistance, auxiliary aids, or other reasonable accommodations to fully participate in this event, please indicate this during registration. Information regarding disabilities and special assistance will remain confidential. Do I need to bring any special identification to enter the ONWARD19 Closing Party? You are required to bring your ONWARD19 badge and a government-issued photo ID (driver’s license, passport, passport card, etc). Attendees must be 21 years of age or older to attend. ONWARD19 will feature over 30 sessions around all aspects of search —including SEO/SEM strategies, the rise of intelligent systems and services, going beyond local listings, and more. Sessions will be announced on the ONWARD website as they are confirmed. Do you accept speaker submissions? Yes, our call for speakers will open on April 9, 2019, and close on May 31, 2019. Conference registration is open now and session registration will open shortly thereafter. Registrants will receive an email notification when session registration is live. Yes, you will be able to download the mobile app soon. What is the Partner Summit? The ONWARD Partner Summit will take place on Tuesday, October 29, 2019. The Partner Summit is a half-day event limited to current agencies, preferred partners, and resellers of Yext. This opportunity is available to registered ONWARD attendees on a first-come, first served basis. For more information, please contact partnersummit@yext.com. When is the Partner Summit? Where is the Partner Summit? We will announce the Partner Summit location soon. Will food be served at the Partner Summit? Yes. We will serve coffee and light refreshments in the morning and lunch in the afternoon. Where can I find the agenda for the Partner Summit? Please stay tuned for details regarding the Partner Summit agenda. ONWARD19 Client Training will take place on Tuesday, October 29, 2019. The cost for training is $350 and is available to registered ONWARD19 attendees on a first come, first served basis. This year, Client Training passes are also available to purchase as a standalone opportunity. For more information, please email onwardtraining@yext.com. We will announce the Client Training location soon. Will food be served at customer training? Yes. We will serve coffee and light refreshments in the morning. Will attendees have access to the materials presented at client training after the event? Yes, we will distribute materials following ONWARD. Be sure to stay where all of the action is! We have reserved a block of rooms at the New York Marriott Marquis for ONWARD19 attendees. Availability is limited, book your room for ONWARD19 today. When should I arrive for and depart from ONWARD19? For attendees with only a main conference pass, we recommend you arrive for ONWARD19 on Tuesday, October 29 by 12:00am and depart on Thursday, October 31 by 11:00pm. For attendees with a main conference pass plus Client Training, we recommend you arrive on Monday, October 28 by 5:00pm and depart on Thursday, October 31 by 11:00am. For attendees with a main conference pass plus Partner Summit, we recommend you arrive on October 28 by 4:00pm and depart on Thursday, October 31 by 11:00pm. Which airports are closest to New York City? Midtown New York City is accessible from three airports: LaGuardia Airport (LGA), John F. Kennedy International Airport (JFK), and Newark Liberty International Airport (EWR). Can I take a train to New York City? Amtrak trains arrive at New York Penn Station. New York City at the end of October is often mild but can be unpredictable. Consider packing a heavier jacket and layers, and consult your favorite weather site prior to your trip. Can I request a visa invitation to attend ONWARD19? Yes. Please note that requesting a visa invitation letter does not guarantee that your local authorities will grant a visa to attend ONWARD19. You are responsible for submitting your visa application to your local embassy/consulate; conference management will not submit on your behalf.